I slide back a step into the hall. Something flickers across Dad’s face, but he’s already nodding, already turning away. The door clicks shut, and I sigh and turn to the hall. I need to find this History. To do that, I need to get to the Narrows. And to do that, I need to find a door. Interesting teasers… I have seen Wait For You on a few other blogs. This teaser has solidified the deal for me — I need to check this one out! Here’s my TT post! I want to read Wait for You! I’m reading this bizarro collection of short stories–The Tenth of December–for book club and I’m not too impressed. Bummer! I hate it when that happens! I like them. Seems like I’ll shaking my head at this Cam fellow more than not. It’s very intriguing…you should check it out! 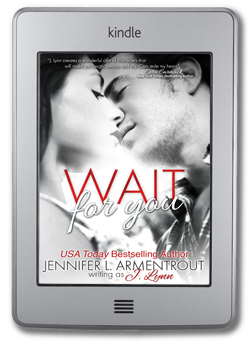 I am so freaking excited about Wait for You! I bought it the other day and just need time to read it.. This teaser is delicious! 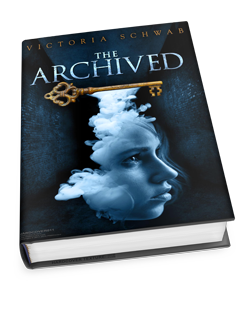 Nice teaser for The Archived! And *someone* in Wait for You sounds pretty arrogant, lol! So, WAIT FOR YOU must be pretty amazing if it’s hit the top of, like, every major list! Definitely need to read that!